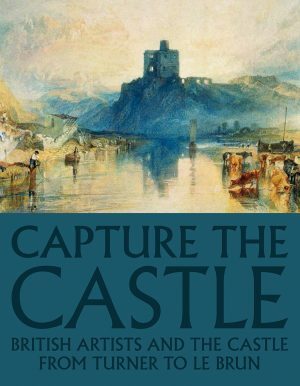 This elegant book presents the life and work of one of Britain’s leading painters. Trevor Bell’s big, bold, beautiful paintings have been specially featured at Tate St Ives– reflecting his status as a key figure in the development of painting in the past half century. The book is illustrated from cover to cover with a lifetime’s work on canvas and paper, and with fascinating documentary photographs from the artist’s own archive. From the talented Yorkshire lad who loved jazz and big motorbikes, Bell became a revered elder statesman of abstract painting inBritain. then back to Cornwall, where he now lives and works. Besides the landscapes closest to his heart – the Yorkshire moors, the steamy ‘heatscape’ of Florida and the wild Atlantic coasts of Cornwall – Bell’s inspiration has often come from his travels – always far off the beaten track, in India, the Himalayas, Burma, Mexico, Cuba and Peru. The book reflects the monumental scale and glorious colour of Trevor Bell’s major paintings. His resonant and uniquely accessible paintings are its essential content. Bell’s particular character as an artist comes from the way he orchestrates his work with perfect craftsmanship, only to create an opportunity for radical innovation. He pushes for the unexpected, this extraordinary creative energy permeating the book and providing an exhilarating breath of fresh air.